Up until recently, most people have taken the view that the phenomenon of Manchester music is dead in the water. We saw the beginning of the end take hold when, presumably due to his penchant for mind-altering substances, Noel Gallagher decided to let Liam out of his cage and exercise his (lack of) songwriting skills. Many of us dreamers thought The Stone Roses’s reformation could mean a glorious Madchester revival, but we were sadly proven wrong as soon as the horrifying schoolyard ditty that was “All for One” hit the airwaves. It is at this point that Blossoms arrived on the scene, with Northern good humour and Stockportian lilts. The band are part of a long-awaited wave of musicians who are bringing Manchester music to the forefront of the indie music scene once again. 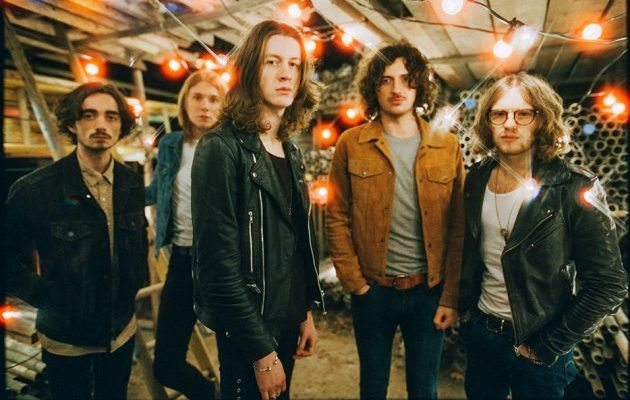 If anybody will become the saviours of the Manchester music scene, it will be Blossoms and their contemporaries. Since their formation five years ago, the five-piece has been going from strength to strength, and have built up a dedicated fan base in the process. Their self-titled 2016 debut album was even nominated for the Mercury Music Prize. Now onto their second album, Cool Like You, they have developed a fantastic discography of addictive, feel good indie-pop tunes. Blossoms have mastered the art of stripping back the convolution of modern music to create something simple and joyful. Full of tender lyricism, clean guitar sounds and effervescent synths – when things get complicated, you know that Blossoms are there to bring you back down to earth. Almost every one of their songs sounds like it could be a single, making them the perfect singalong live band that will be guaranteed to cheer you up and make you forget about those piles of essays that you need to write. They will be supported by Derry natives Touts, an alternative band brimming with gritty punk energy. Through uncannily Joe Strummer-esque vocals and hard-hitting instrumentalism, they channel the anger of a precarious young generation dealing with the implications of conservative Northern Irish politics and Brexit. All of these factors combine to produce a sense of true punk authenticity within their music, which is a rare thing in the days of autotune and media manipulation. They have also built up an excellent reputation for their visceral live shows, which are well worth experiencing for any punk music fan.